Pokemon Let's Go hasn't been on shelves for a full week yet, but that's not stopping Amazon slashing the price of the Limited Edition Pokemon Let's Go Nintendo Switch console bundle for Black Friday. The all-new bundle has a Switch console with a Pikachu and Eevee-inspired paint job, as well as Pokemon Let's Go Pikachu preinstalled, and the awesome Poke Ball Plus controller included for just £329. Compare that with the price of the Limited Edition Pokemon Let's Go Eevee bundle, the equivalent package for the Pokemon Let's Go Eevee variant of the game, which comes in at a cool £399 and it's clear this is a stellar deal. Given that Pokemon Let's Go is likely jostling for the top spot on hundreds of Christmas wish lists this year, it's clear you're going to need to act fast to be in with a chance to bagging one of these bundles for under the tree. Earlier this week the same bundle – priced at £339 at the time – sold-out in a matter of hours. 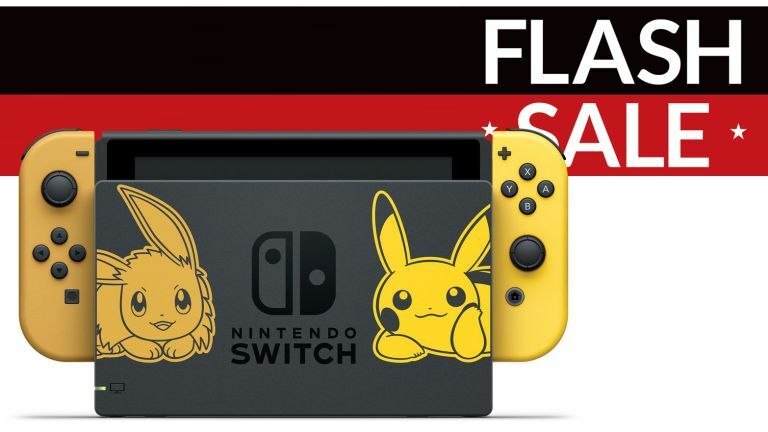 Limited edition Pikachu version of the Nintendo Switch? Check. Poke Ball Plus controller? Check. £70 off the RRP? Check.